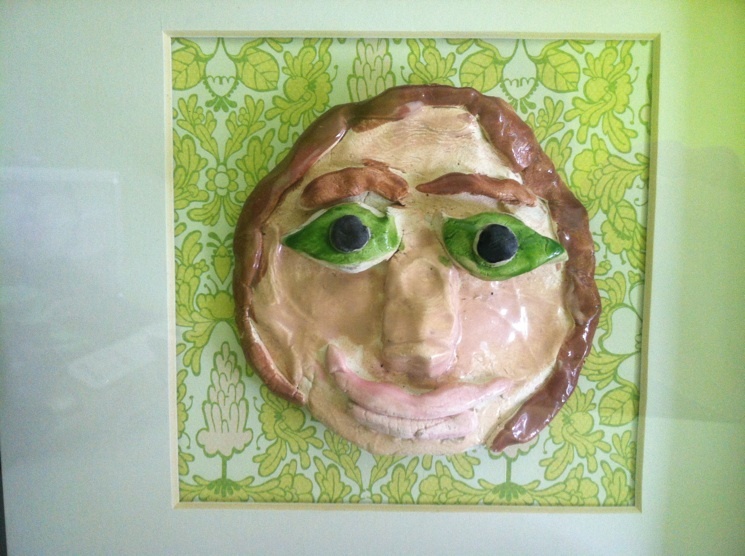 I took her 1st grade clay self portrait and using and IKEA frame and paper from home, made this cute wall hanging. Since our trips to Door County this year, she has insisted her favorite animal is a goat. 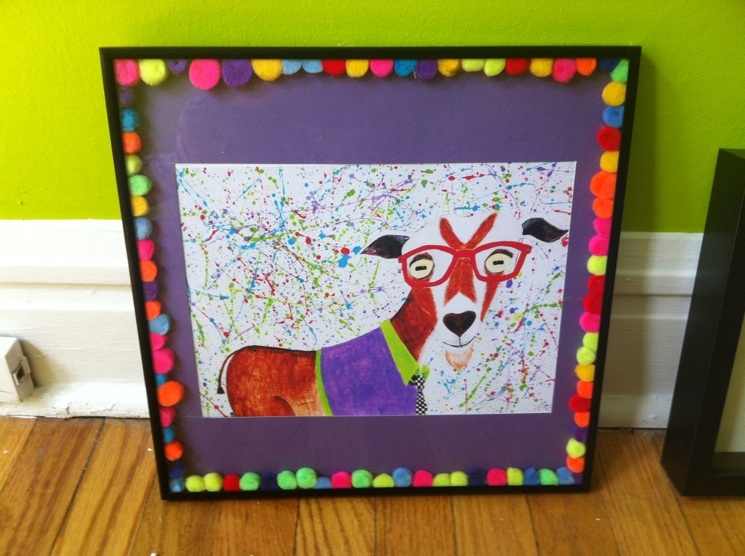 So, I bought some goat art online and some frames from goodwill. I painted and decorated the frames. 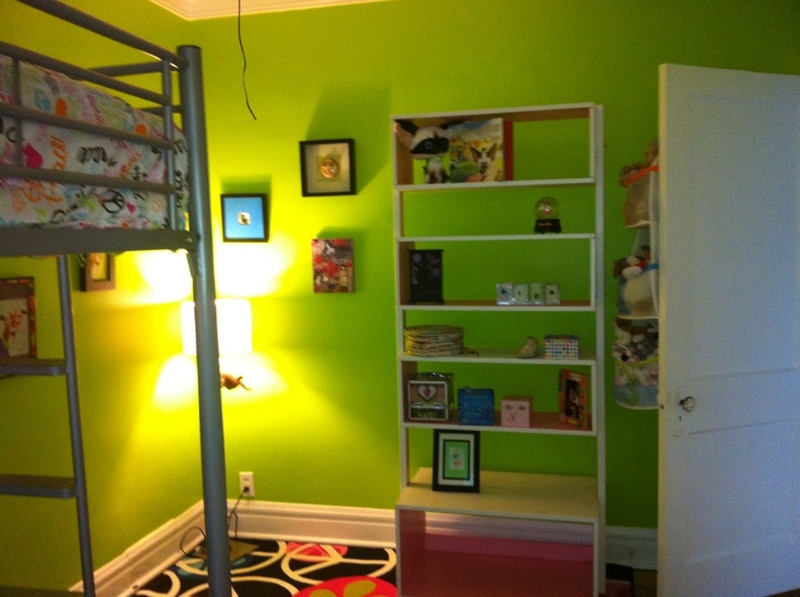 We bought a new dresser and a small shelf for her pop up books. She does want a new bookshelf entirely so that she can organize her books. That will have to wait till this weekend. The magnetic board and light are straight from IKEA. Homework goes on the board. 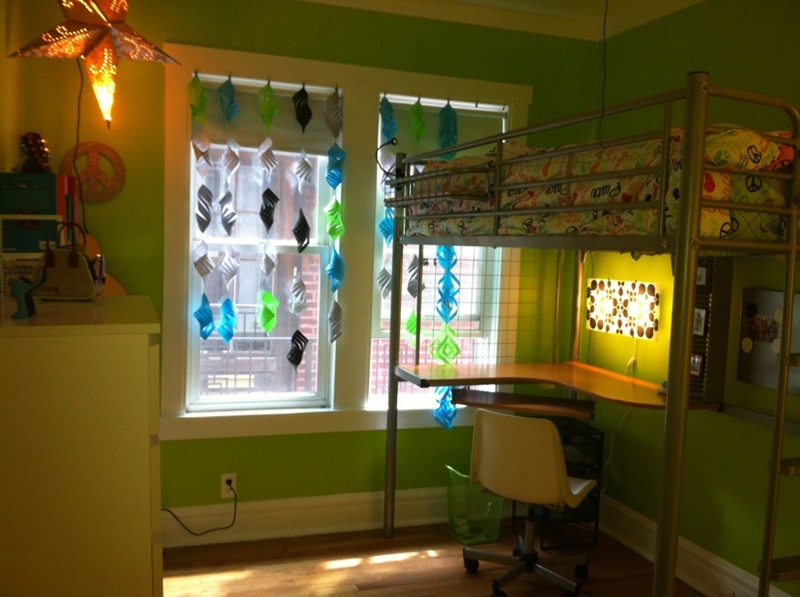 I used a paper cutter from Martha Stewart to help with the little window garland. I was lucky to get this at Goodwill for $3. She is so happy with the room. I totally appreciate my niece, sister and brother in law for giving us the bed. And thanks to my husband for driving all the way to Indianapolis on a Friday evening to pick it up.